This is a sponsored post on behalf of Mr. Gatti’s Pizza. All opinions are my own. If you are local to the Dallas / Fort Worth area, I have something super delicious to share for your upcoming Halloween fun! 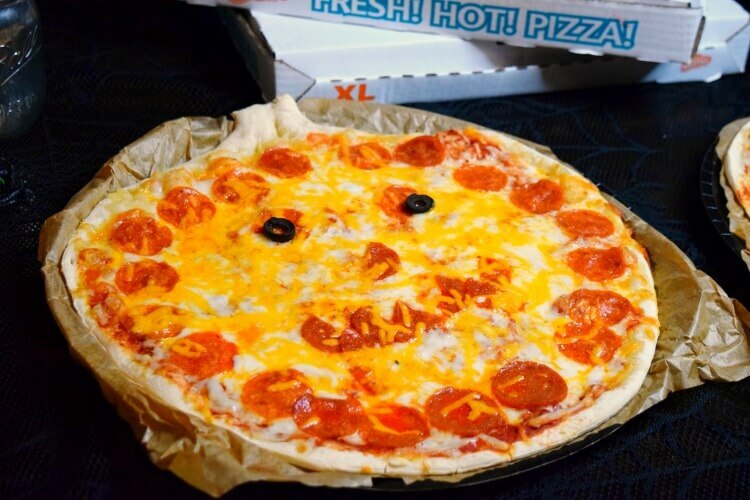 Mr. Gatti’s Pizza is offering some very special Halloween Take and Bake pizzas from October 22 – 31st. You pick them up uncooked and bake them right at home! They have two fun pizza shapes for you to choose. 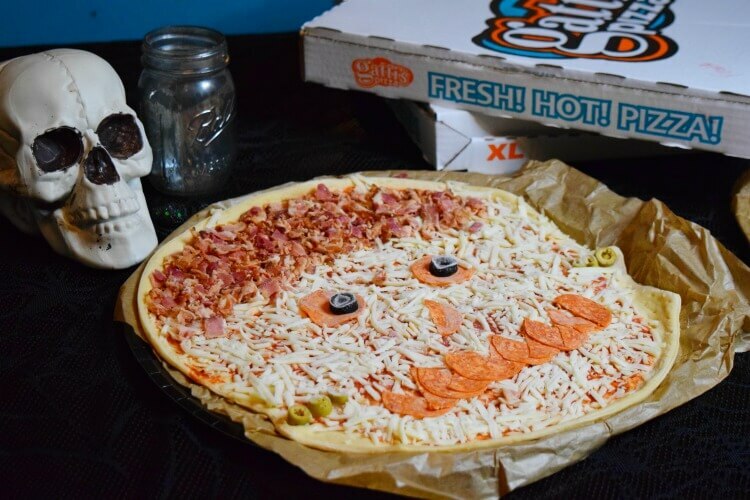 You can get a Frankenstein pizza or a Jack o’lantern pizza — or both! We got both. 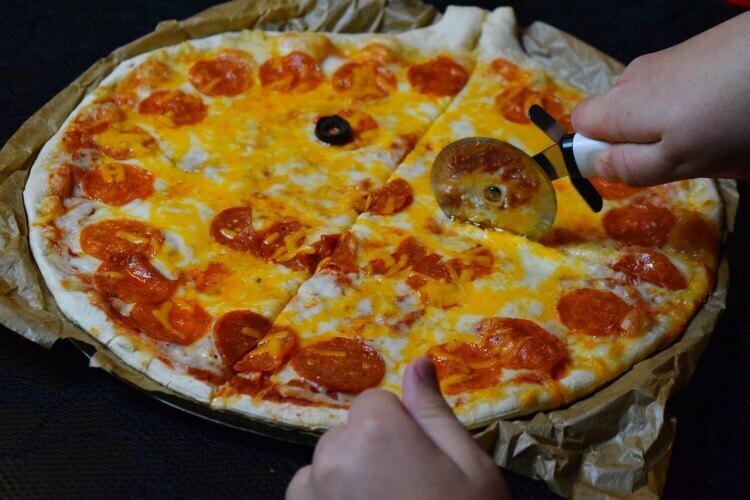 Each Halloween pizza come with easy to follow instructions and its own one-time use pan. You don’t even have to worry about using your own pizza pans! I have to admit I was a little nervous about baking them at home because I can never get pizza baked at home to taste like pizza you can get in the restaurant. I followed the instructions exactly, and our Halloween pizzas came out absolutely amazing! We were more than pleasantly surprised. They tasted nearly just like you’d get at the restaurant. Now my kids are begging to go back and get more. 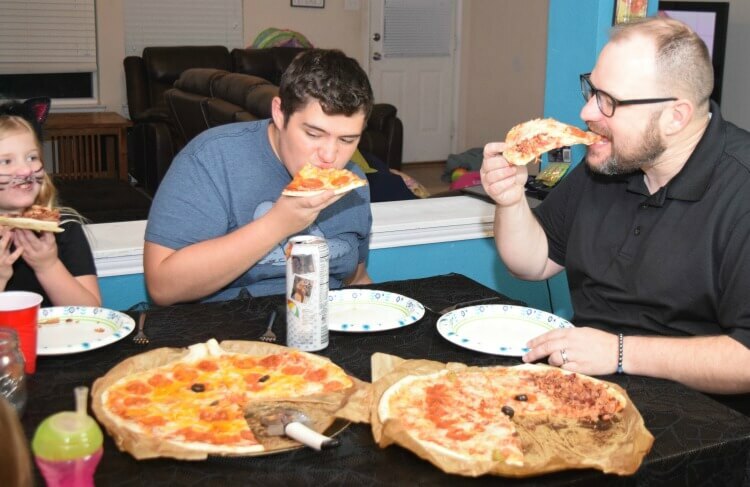 We are already planning when my husband can pick up another set of Halloween pizzas on his way home from work at the Mr. Gatti’s Pizza in North Richland Hills. It will probably be just in time for our Halloween night festivities! Mr. Gatti’s Pizza has always been one of our favorites. 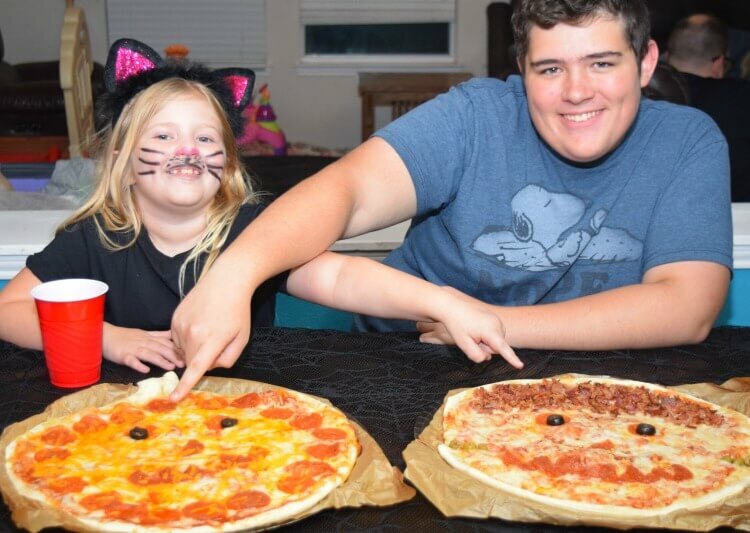 Last week when I sent my husband and daughter to pick up the Halloween pizza at the North Richland Hills store, they said it smelled so yummy in there, they actually asked the manager to pop their Halloween pizzas in the freezer, so they could stay and eat the pizza buffet. Can you believe those two? One thing I like about these pizzas is that you can pop them in the freezer or fridge up to a day ahead of time. You don’t have to cook them that very day. Due to our kids’ busy schedules, we ended up waiting a day to cook them, and they came out tasting fresh and delicious. This is so convenient if you’re planning a Halloween party. You can pick the pizzas up the day before, and it’s one less thing to do on the day of the party! Will you be a #TeamFrank or #TeamJack Halloween pizza fan? It was a tough decision, but I think we all were #TeamJack! We loved that bite that the shredded cheddar gave the jack o’lantern pizza. Thought my kids did say they also loved devouring all that bacon that made up Frankenstein’s hair. 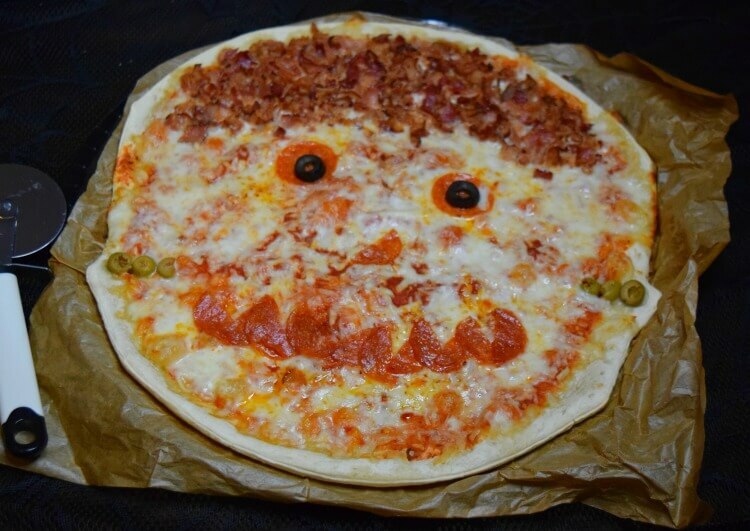 These pizzas would be so fun and festive for your Halloween party! What better snack for those scary movie nights? Best of all, I can’t think of a better “treat” for dinner for family while handing out candy to all those little trick or treaters. Hurry! 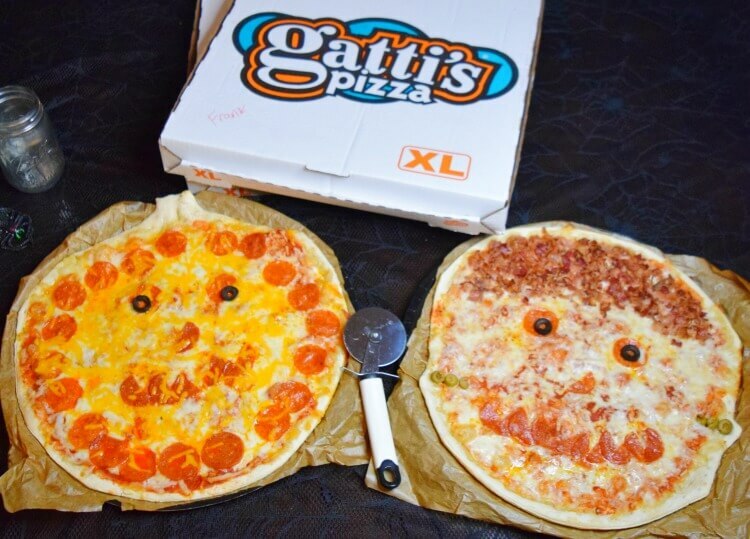 If you want to try these incredibly delicious pizzas before Halloween is over, click here to find your nearest Mr. Gatti’s Pizza! 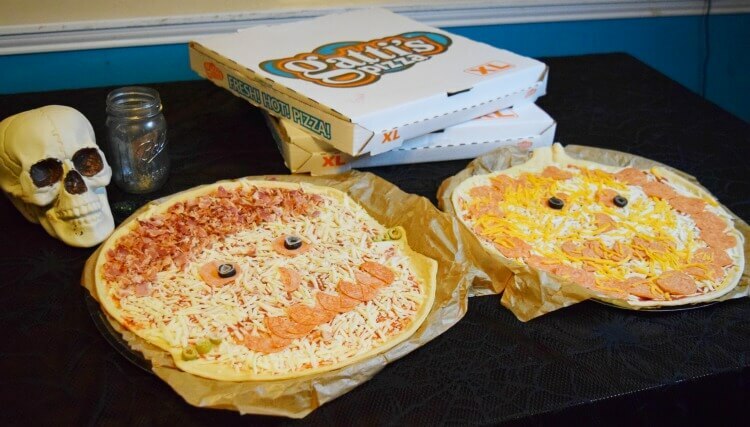 Then, make sure to place your order for these Halloween Take and Bake pizzas from a participating location. Would you like a chance to try some Take and Bake Halloween Pizza so you can tell us if you’re #TeamJack or #TeamFrank? Head over to The TipToe Fairy’s Instagram to enter for a chance to win a Mr. Gatti’s Pizza $20 gift card. Hurry, the giveaway ends Sunday 10/21!